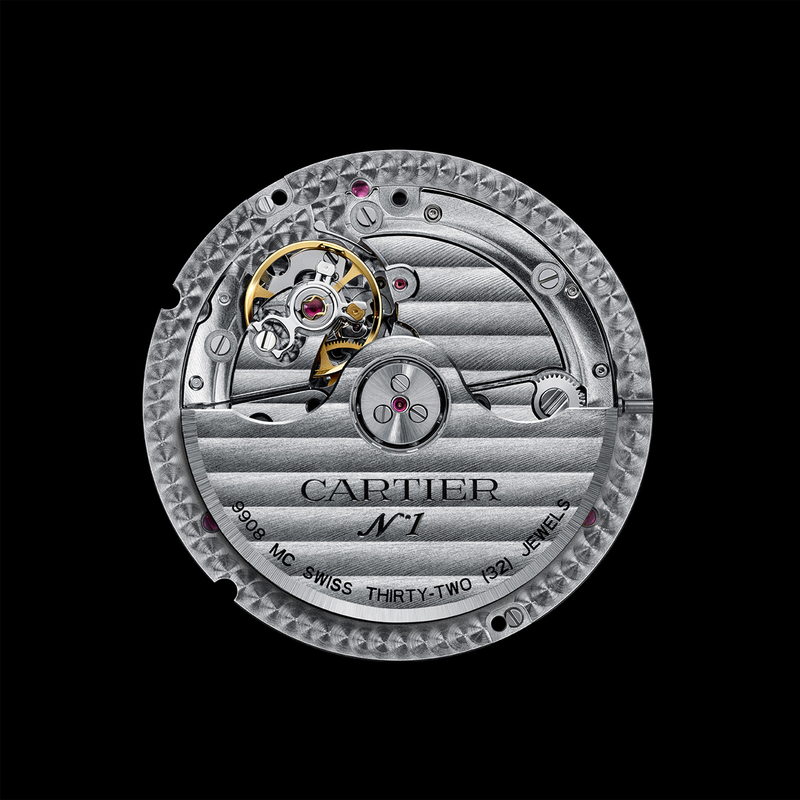 Cartier presented an incredible range of new pieces at SIHH, some haute horlogerie, some haute joaillerie, and some that had some ingenious design touches creating something new and refreshing. 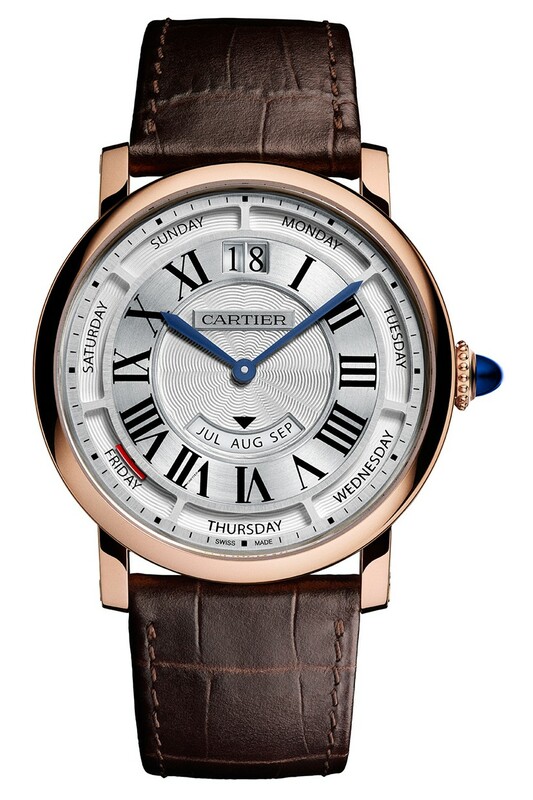 This was the case for the Rotonde de Cartier Annual Calendar, which presents the information typical of annual calendar watches – day, date, month – in a new way. 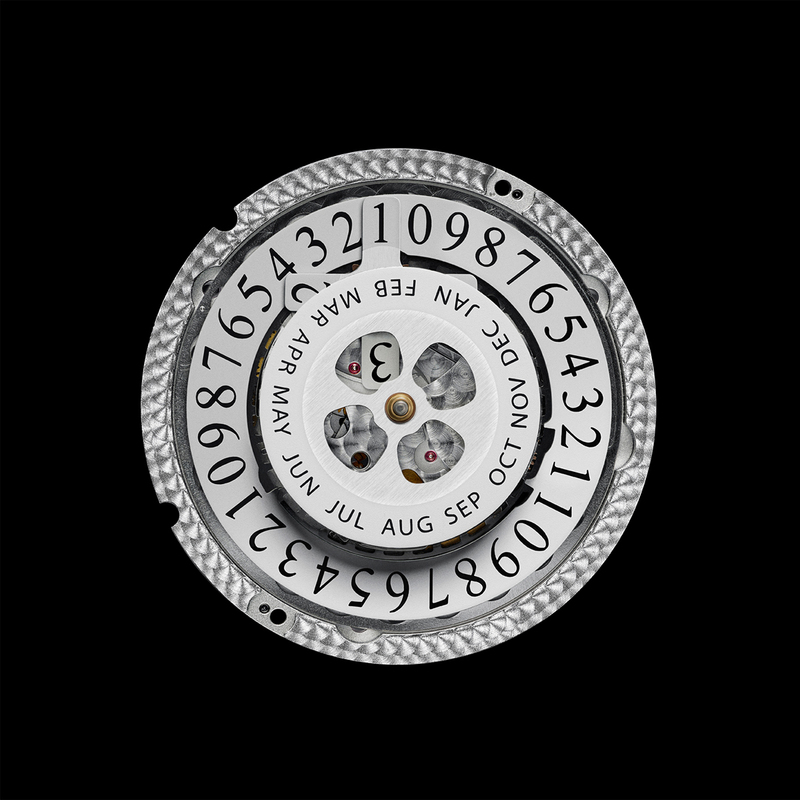 Just inside the minute chapter ring, a series of seven windows have the days of the week spelled out in full, with a red hammer-shaped hand positioned so that only the tip of the head can be seen. It jumps at midnight to indicate the new day. 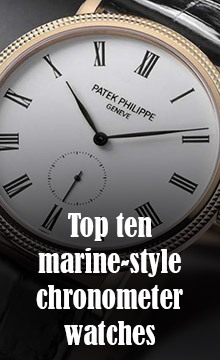 There is a big date in the 12 o’clock position, and a rotating disc for the months at 6 o’clock. The movement keeps track of the differing lengths of the months, but requires adjustment once a year for the change from 28 or 29 February to 1 March. As a watch like this will probably spend quite a lot of its time in a safe, ease of setting and adjustment is important, and in fact all information can be adjusted from the crown. 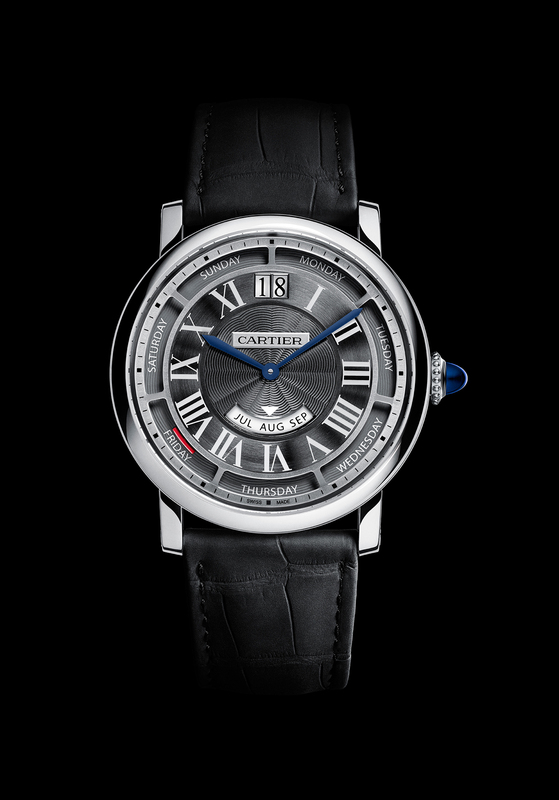 The typically Cartier design features are the crown set with a cabochon blue sapphire, the attractive heavy black Roman numerals (there is a secret signature on the VII numeral) and the guilloché design at the centre. 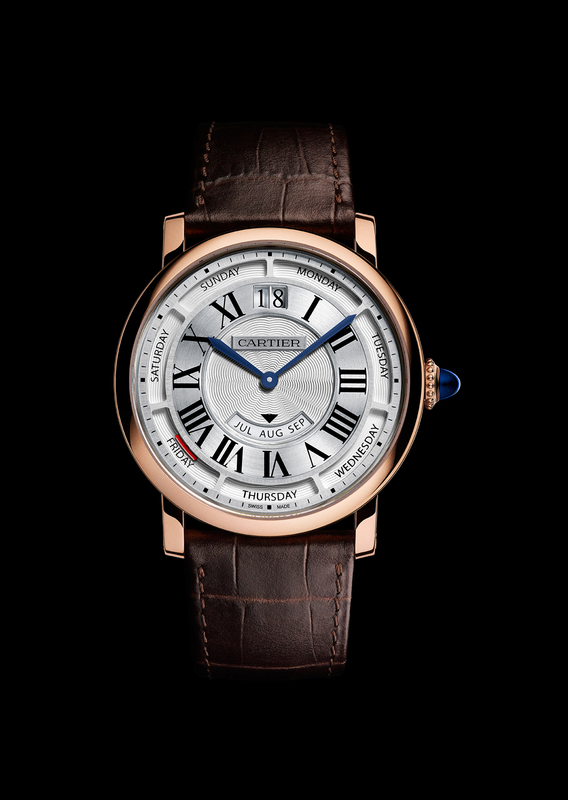 I particularly like the way that the Roman numerals are perfectly regular and radial in the top half of the dial, while in the lower half they slope differently, adding complexity and individuality. 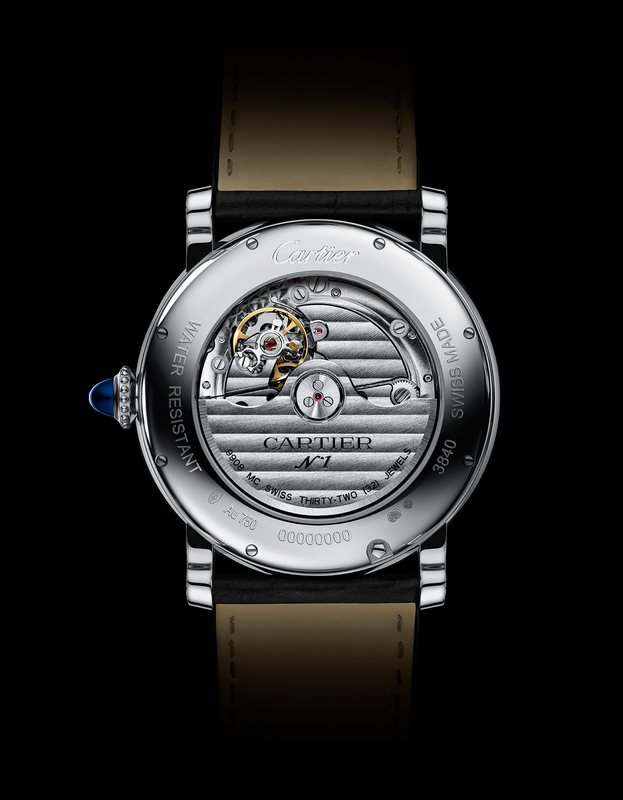 The Calibre 9908 MC movement is automatic, with 291 components, and a power reserve of about 48 hours. The case is 40 mm in diameter, and the watch is made in two versions, pink gold, and a more contemporary version in white gold with grey dial. Price of the order of €30,000 for the white gold version, €27,500 for the pink gold.